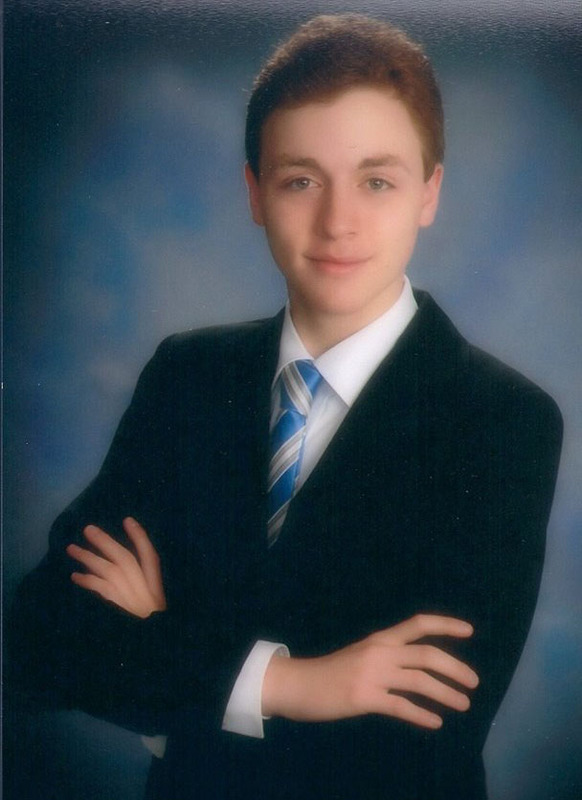 At only 17 years old, Cranbury, NJ native Andrew Goldstein has done what many other aspiring writers his age (and older) can only dream of. The Princeton High School senior already has published a book, 2013’s The Football Volumes, which he wrote while balancing classes and the daily life of a high schooler. He even has a second one on the way. A former SI Kids Kid Reporter, the young sports journalist already has a long list of credentials, one which few others at this stage can boast. He gave an interview to the Eagle’s Eye to talk about the writing and publishing process, how’s he’s come to where he is, and his best advice for other aspiring young authors. QUESTION: In The Football Volumes, you said that it was your grandparents who first got you into football. Who or what first got you into writing, and more specifically, sports writing? ANSWER: I started by reading [sportswriter] Rick Reilly in fourth and fifth grade, gradually transitioning to Bill Simmons as I got older. They were really the first ones who showed me how much fun writing could be; that it didn’t have to be boring. So I tried writing like they did, liked it, and eventually struck out on my own with the book. Q: Before you began writing The Football Volumes, had you ever thought of writing a book before? If so, how did what you thought compare with the reality of it? A: The Football Volumes was the first time I even thought about writing a book. It was about as difficult as I expected to be, although I think that I overestimated how well the concept of the first book would hold up. Q: What are some of the most difficult things about writing a book while in high school? What are some of the most rewarding? A: Balancing the workload was definitely the most difficult. If I didn’t feel like writing that day, too bad, I made myself do it. If I just finished my homework at 10 at night and wanted to go to sleep, the book still needed to be done. And since no teacher assigned me to write this book, the prospect of just saying “to hell with this thing” and quitting was constantly an option. Warding that off month after month was definitely challenging. As for the rewards, this book reassured me that I was on the right career path. I wouldn’t put this much time and effort into something that I didn’t love, and I re-discovered my love for football through writing this book. It also taught me how to manage big projects effectively by breaking them up into smaller goals. Q: How did you first discover your publisher, KidPub? How helpful have they been in the often difficult publishing process? A: I just did a web search for publishers, and KidPub came up as a publisher that would take what I had and publish it quickly. I think I really undervalued the importance of choosing a good publisher; I just wanted the thing out as quickly as possible. They were not very helpful at all in the publishing process. The guy didn’t return my emails for weeks on end, promised marketing support that he never delivered on, and generally left me out of the loop in the process. It was only after I threatened to go to another publisher that he responded to my emails. However, it was a good learning experience. I learned that being meek doesn’t get you anywhere. It taught me that sometimes, if I really wanted something, I would have to make a little bit of noise for it. Q: How far through the writing process did they finally answer you back and agree to publish? A: They agreed to publish from the beginning, but they don’t reject anybody. For a fixed price, they will publish anything. Q: Does having a publishing deal early on make writing easier or put more pressure on you as a writer? A: It makes writing easier. I don’t like to worry about anything during the creative process other than the creative process. Having a plan in place takes an extraordinary amount of pressure off. Q: How did you feel the first time you saw a copy of The Football Volumes in print? A: It was unbelievable. I looked at it for over a minute; just sat on the chair and stared at the cover. It was more shock than anything else. I knew that I wrote it, obviously, but actually seeing it… you never really get over that feeling. Maybe I will someday, but every time I see it I still feel like I did the first time I saw it. My brain just shuts off for a split second. Q: Now you’ve been working on a second book. Could you tell us a little about that? A: I actually finished writing the second book; it’s off at the publisher’s and due out sometime in Quarter 2 of 2014. The second book is called Growing Up Green; Living, Dying, and Dying Again as a Fan of the New York Jets. It’s about my personal journey as a Jets fan from age five to where I am now. Through telling my own story, I try to explain the psychology and emotions behind being a sports fan. It’s autobiographical, but I think there’s a part of every sports fan in this book. Plus, I think the concept will hold up a heck of a lot better this time than it did the last time. I’d also like to mention how much of a pleasure my new publisher, AuthorHouse, has been to work with so far. They’ve been accommodating, extremely friendly, quick to respond to any of my questions, and generally pleasant to work with. Way better than my previous experience. Q: How soon after finishing The Football Volumes did you start the process of writing Growing Up Green? A: About three months after. I truly wasn’t planning on writing another one, but the idea just kind of hit me when I was trying to fall asleep at SBC [Sports Broadcasting Camp]. After doing some pre-writing at three in the morning, I slept and forgot about it for a few days. But after that, I took another look at the premise and my life before deciding to do it. The decision essentially boiled down to “I have a good idea that I’m at the right place in my life to write about, and it’s the last year where I can for sure carve out enough free time to do something like this.” When I put it to myself that way, saying “Screw it, I’m doing this” became the only real option. Q: How do the styles of The Football Volumes and Growing Up Green compare? A: The Football Volumes was easier to write, just because it was a more familiar style. Watch something on TV, write about it, make a couple of snarky jokes, and I had an entry for the book. Growing Up Green, I think, is a more intelligent piece of writing, just because of what was required to write it. I had to look inwardly instead of outwardly, really challenge myself to come up with interesting things to say about memories which I hadn’t accessed for a long time. There’s still humor and sarcasm and blatant bias and all the stuff that was in Football Volumes, but it’s a little bit more covert and done in a smarter way, or at least I’d like to think so. Plus, I already had one book under my belt when I started writing Growing Up Green, so I think it’s going to be a bit more polished purely by virtue of experience. No different than playing a sport or learning an instrument in that respect. Q: What would you recommend more casual fans do if they wanted to expand their football knowledge? A: I think that one of the places where I went wrong in The Football Volumes is that I made it very inaccessible to casual fans and non-fans. I think that definitely turned some people off. Growing Up Green will be, without a doubt, accessible even to non-fans because, while the topic is football, the themes of hope, despair, blind devotion, and everything else that goes along with being a fan are universals. I’ve learned a lot from The Football Volumes‘ failure to reach non-fans, and I’ve used what I learned to make Growing Up Green a more accessible book. Q: What are some of the most important lessons you took from writing your first book that you applied to your second? Don’t assume everybody has baseline knowledge of the subject matter. Never be afraid to take risks like using humor, rhetorical questions, etc. Even something as simple as italics differentiates your writing from the next guy’s. Your writing is never nearly as bad as you think it is, but it’s never as good either. All of the best writing in the world doesn’t mean a thing if you don’t have a concept that’s going to be just as engaging after a year as it was on release. The writing style makes the reader stay, but the concept gets them interested. Prioritize having a cordial relationship with your publisher and market aggressively. Don’t just assume people are going to buy your book just because you wrote one. There are millions, if not billions of other books out there. You have to be able to say, in a few sentences and/or under twenty seconds, why your book is different from all the others. Q: You’ve been attending Play by Play Sports Broadcasting Camps since 2007, and this summer will be your final year. How have your experiences there helped you grow and develop as a sports journalist and what kind of affect have they had on you overall? A: I don’t even know where to start on this one. Like I’ve always said, SBC has been the best week of my year for what will soon be nine years. I remember that at age nine, when everybody else wanted to be Superman or the president or part of N’SYNC, I wanted to be a sportscaster. That was just such a weird thing to carry around with you because nobody else wanted to do that. SBC showed me that there are people who knew exactly who Mel Allen was, people who loved sports as much as I did, people who got it. I’ve made some of the best friends I’m ever going to make at that place and I’ve had so much fun there that it’s unbelievable. Just talking into the microphone attached to the VCRs or computers playing SportsCenter Top 10 re-runs and competing in the PTI tournament just reaffirmed the notion that this is what I wanted to do for the rest of my life. I’m going to miss the hell out of that place after this summer, and hopefully I can come back one day and be a speaker. Q: What’s kept you coming back to the Bay State, and the New Jersey camp all these years? A: The thing that’s really kept me coming back- not just to Boston, but to New Jersey as well- has been the people. When you find a person or a group of people who truly get you, you know it instantly. That describes most of the people at SBC. They still get excited when Jeremy [Treatman, the camp’s founder] shows the One Shining Moment Kobe [Bryant] video, just like I do after all these years. They’re the only people I know for whom sports carries the same amount of disproportionate importance in life as they do for me. That’s what keeps me coming back every year: the people, the broadcasting, and the memories. Q: Finally, what advice what you give to any other young prospective authors out there? A: Go for it. Go. For. It. Believe in yourself, never stop improving, and don’t be afraid to put yourself out there. When I published The Football Volumes, I thought it was the best thing I could possibly write. Now, I read it and I think, “Wait a second, was this really the best I could do? This is it?” And I’ll probably feel that way about this upcoming book before long. I mention this because so many people are discouraged from writing because of self-doubt. I’ve found that not only will you end up being overly critical of what you wrote, but it’s that criticism that pushes you to go for it even more, to try new things and write in different ways. Really, I’d advise them to just write something, make it the best it can be, don’t be someone you’re not, and keep taking chances. Goldstein’s Growing Up Green is set to be released in the spring and will be available online at bookstore.authorhouse.com for a price yet to be determined and The Football Volumes can be purchased for $14.95 at KidPub’s website or on Amazon. This entry was posted in Home, Teen Interest and tagged 2013-14, Andrew Goldstein, AuthorHouse, Boston, Cameron Merritt, Cranbury, football, Growing Up Green, journalism, KidPub, New Jersey, New York Jets, Princeton High School, Publishing, SI Kids, Sports, Sports Broadcasting Camp, The Football Volumes, writing on January 18, 2014 by cammerritt.